What’s new in Interactive SPares 7? Interactive SPares offers even simpler and more intelligent ways of selling spare parts online by creating and publishing interactive spare parts catalogues. A single application that offers everything you need: creating, managing and publishing spare parts catalogues on the web, analysing sales statistics for the most popular spare parts and handling orders and warehouse stock. The software has been rewritten to improve the user experience for purchasers and even administrators. From now on, you can also use Interactive SPares in Cloud mode, thus avoiding the complexity of managing and configuring web servers. Send us your drawings and itemized code lists and we’ll do the rest! And remember, whichever version you choose, there are no limits to how many catalogues you can create. Discover the simplicity of the new catalogue creation environment. The new tree menu lets you move more quickly between the catalogue levels, create new groups and automatically import drawings and itemized code lists. 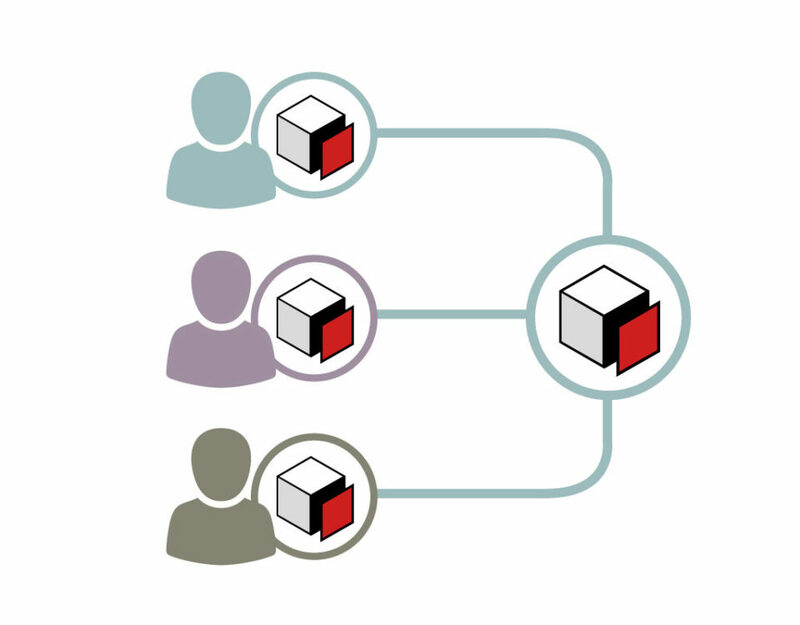 Now you can associate groups to other groups and create endless hierarchical structures. The renewed graphic editor means you can navigate with an interactivity equal to that of the final user and in this way, you can control exactly what your clients see. Interactive SPares is the only application that does not require the installation of software client to create interactive catalogues; interactivity is generated automatically by an algorithm that recognises drawing callouts. All this translates into saving in terms of time and investment for the company and unsurprisingly, Interactive Spares has been chosen by numerous leading multinationals. 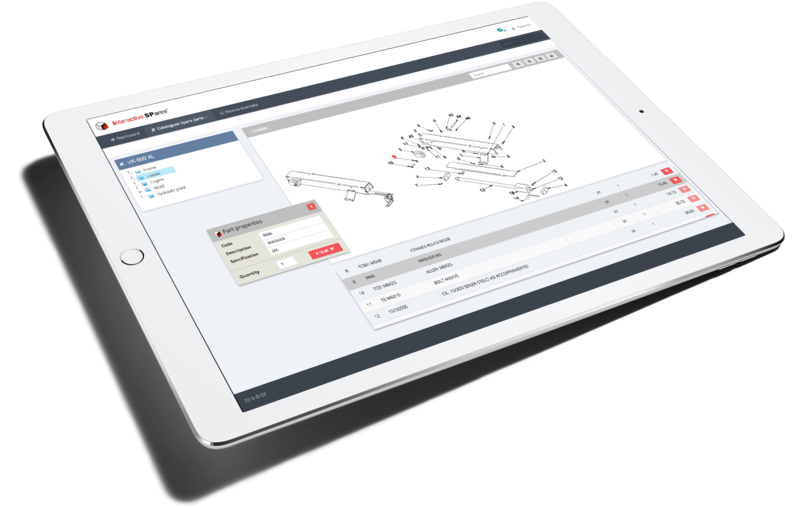 With Interactive SPares you can configure the sales and interactive spare parts catalogue portal in the client’s benchmark language. 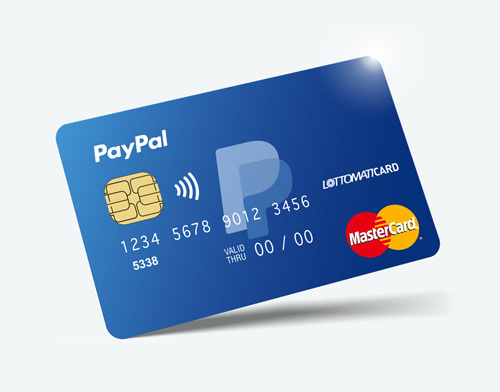 In this way, you can immediately sell all over the world without any communication issues. You can manage all the descriptions in the dictionary or configure a specific account to allocate to a professional translator to translate terms into all the languages you wish, including those with particular fonts such as Cyrillic, Japanese and Chinese. 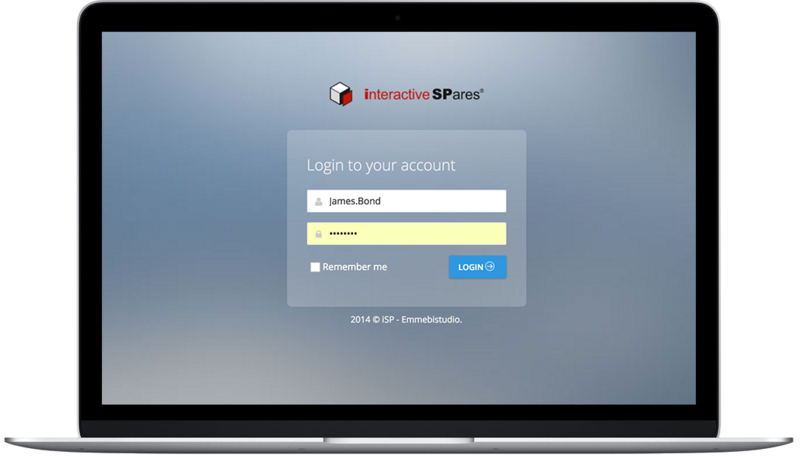 Interactive SPares is not only a software for creating interactive spare parts catalogues, but a unique platform for creating and administering e-commerce sites dedicated expressly to the sale of spare parts online. Your clients or service centres can access the site using any desktop PC, tablet or smartphone device, consult spare parts catalogues or other technical information regarding the machinery, purchase products and check the status of their order. Now you can personalise your spare parts portal with just a few clicks and completely independently. 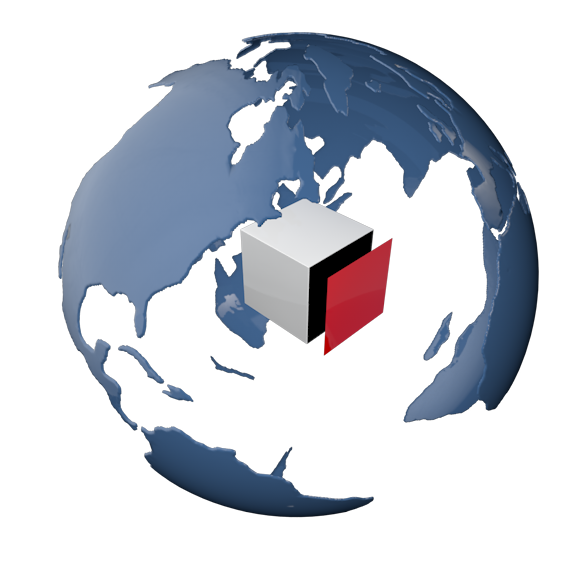 You can upload your company logo and details, upload and manage price lists in various currencies and handle orders and clients simply and quickly. 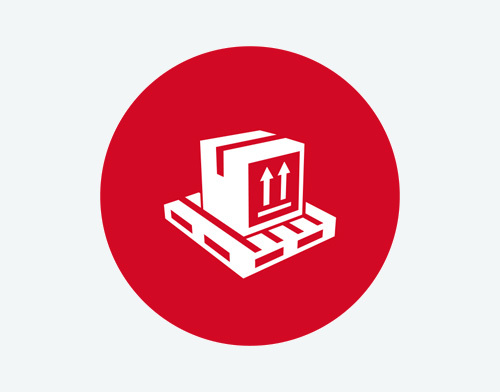 Thanks to the warehouse module you can decide to allow your clients to see spare part availability and update stock quantities both automatically and manually. Thanks to printing technology, Interactive SPares reaches new goals. Printing of drawings and therefore the entire spare parts catalogue uses vectorization processes, unlike most web software which uses bitmap technology. All this translates into excellent print quality, that isn’t in the least grainy, which could compromise clear reading of codes and references. And you won’t need to worry about the layout as Interactive SPares deals with this. 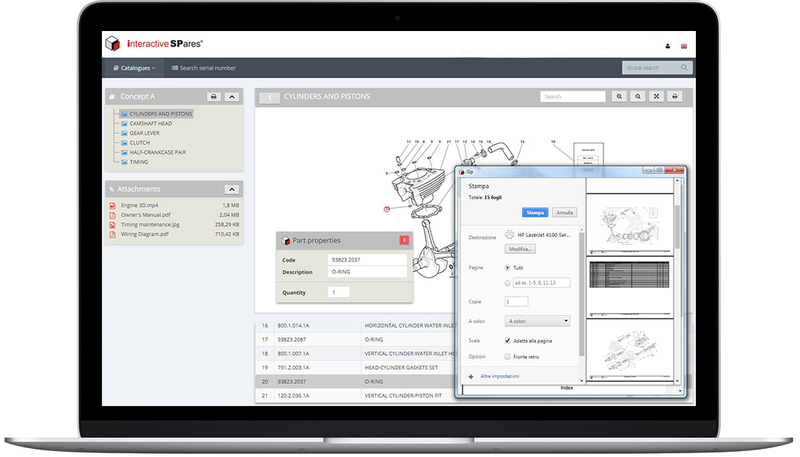 You can decide whether to print a single spare parts table complete with codes, a group or an entire catalogue, complete with a personalised cover. 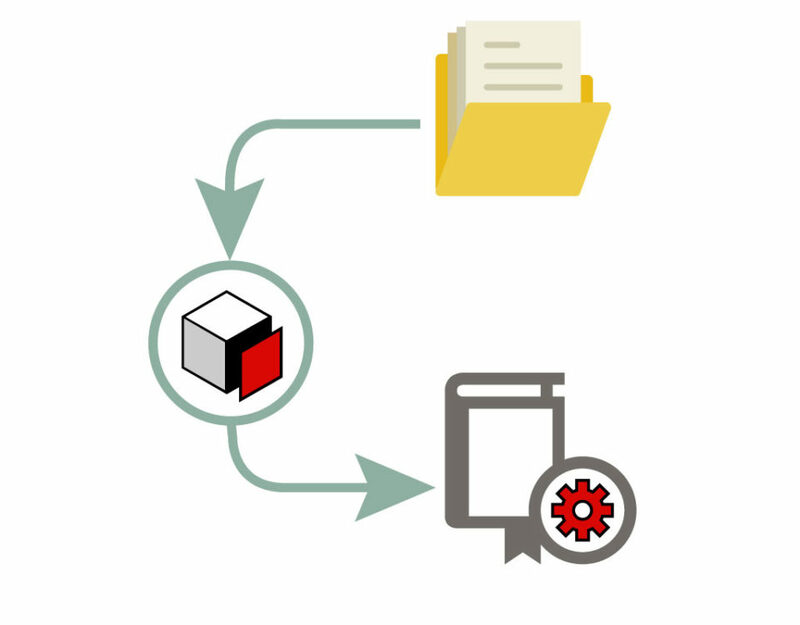 You can associate an unlimited number of files to the machine models that comprise the spare parts catalogue. In this way, the final user can download instruction booklets, time charts, instruction videos, certificates, etc. There are no limits to the type of files managed (pdf, doc, xls, dwg, dxf, mov, vmw, etc.). 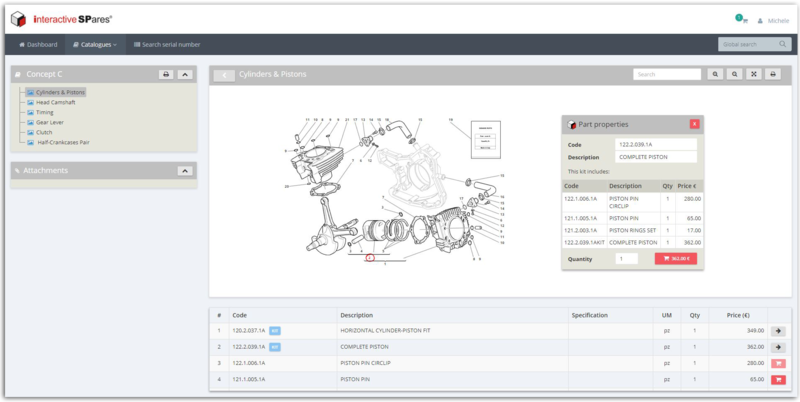 Interactive SPares is packed with features inherent to the configuration of spare parts, such as managing codes that are obsolete or have been replaced, product kits, discount classes, product notes and variations, user profiling, multi-price lists, currency conversion management, multi-brands, etc. Our staff can satisfy any request for personalisation or integration with third-party IT systems such as PDM, ERP or other company management systems. Contact us and explain what you want in full and we can advise you on the solution that best suits your needs.